a quotation or help organising a trip? +33 1 43 31 81 69. We hope you are well too. We are ready to welcome you and help with all your questions. This is not a dead site. We will reply to you within the next 4 to 12 hours, even on a weekend! Fun and unusual ideas to do during your trip to France! • Hot-air balloon & helicopter rides. • Nice, Cannes, Monaco by air. Magic, doll, wax, science museums. Zoo, puppet theatre, circus, Disneyland. Birthday parties. NEW! VIP priority airport clearance: through immigration and customs by official airport hostess. No lines. Followed by speedy transfer to hotel.  Porter service: CDG or Orly Airports. From one to 100 bags.  Ministerial-style welcome on airport runway in limousine.  Similar services on departure: No lines for customs refunds and security clearance. in English, Spanish, German, Italian. 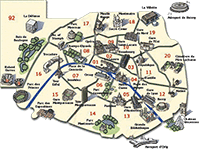 Versailles, Giverny, Champagne, Normandy, Loire Valley, wine tours. Hotel, minibus, coach, step on guide. Reservations for museums, Eiffel Tower, restaurants. We pick you up, show you Paris and bring you back. – Airport and train station transfers to/from your hotel: Individuals or groups. 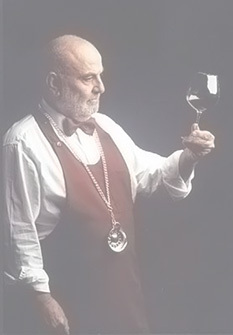  Professional consecutive and simultaneous interpreters.  Written translations, sworn translations. A friendly, practical person to be your assistant for business meetings, site visits, to contact clients and suppliers, or just to go shopping. Do you need a guide at the last minute? Do you need a car, minivan or bus at the last minute? We can help you! With our large staff we have professional guides in Arabic, Bulgarian, Croatian, Czech, Danish, Dutch, English, Estonian, Farsi (Persian), Finnish, French, German, Greek, Hindi, Hungarian, Indonesian (Bahasa), Italian, Latvian, Malay, Polish, Portuguese, Romanian, Russian, Slovak, Slovenian, Spanish, Swedish, Thai, Turkish, Vietnamese and many other languages. We can usually find you somebody for the next day or even for the same day. We can also usually arrange no-line tickets for the Louvre, Versailles or other museums. Contact us. Similarly, if you are stuck for a chauffeured car, minivan or bus (coach) for a tour in Paris or anywhere in France, we can help you. Contact us. At Paris International, we have 20 years of experience welcoming the worlds’ most important visitors to Paris. We have prompt and polite English-speaking staff who do the meticulous work of making sure your trip is safely reserved. Our motto is “check and double check”. We are to hand through out your stay, for help with anything, big or small. 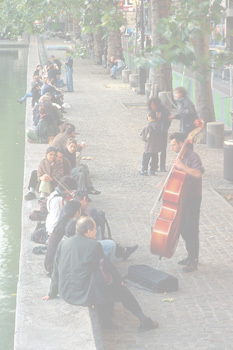 Paris International VIP Services is a licensed tour agency and an active member of the Paris Office of Tourism. We know that travel can be a hassle, and the only remedy is careful preparation. We have strict procedures of quality control at every step. Our friendly, English-speaking staff will help you plan your trip, on the phone or by email. We have a 100 multilingual guides and hostesses, luxury cars and minibuses and a whole range of tours, both private and shared. One of these will surely suit your dates, your pocket and your style. Remember, if you have your travel dates, you can make reservations right now. Do take a look at our special VIP airport welcome at the airplane door, with fast track clearance by special hostesses. Daytrippers to Paris: If you have a stopover in Paris, we can arrange your visit of Paris starting and finishing at the airport, train station, or your cruise boat in Le Havre. Services for groups: Hotel, minibus or bus hire, guides. Conventions, exhibitions, trade shows. VIP visitors and delegations. Chinese, Polish, French, German, Spanish, Italian, Japanese, Arabic, Hindi, Russian, Swedish, Dutch, Finnish, Korean and more. Bilingual translators for your business meetingsEnglish, German, Spanish, Italian, Portuguese, Russian, Polish, Japanese, Chinese, Korean, and Arabic. Tell us your dates and what you would like and we will do all your bookings for you: Hotels, Restaurants, Shows, etc. Shopping Tours (Personal or Business): Clothes, porcelain, books, paintings, jewellery, antiques and fine furniture, flea market finds, pets. Business machinery, office equipment, tool salons and expos. Shopping, shopping, shopping! Languages offered: English, French, Chinese, Polish, German, Spanish, Italian, Japanese, Arabic, Hindi, Russian, Swedish, Dutch, Finnish, Korean, Portuguese, Turkish and more. References: Delegations from many companies including American Express, BBC, British Telecom, Eurosport, France Télévisions, Gaumont, Danone, Goldman-Sachs, Hennessy, Air France-KLM, Perrier-Vittel, Tommy Hilfiger, Total, as well as many famous actors, presidents, ministers, and many busy and exigent travellers. 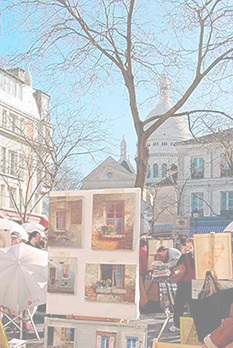 Here are some crazy ideas for tours and trips to do while you are in France.  Go up in a hot-air balloon.  Helicopter ride near Paris.  Castles of the Loire Valley. Fine dining, champagne, all-night dancing: dazzling Eiffel Tower lights from the river, while you are seated in a warm, elegant, glass-roofed boat! All part of a memorable gala evening. 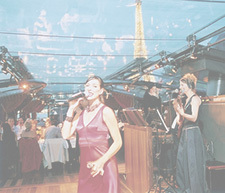 • New Year’s Eve River Cruises with dinner and music for all budgets. • New Year’s Eve dinner at the Jules Vernes Restaurant in the Eiffel Tower. 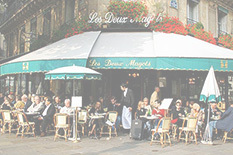 • Private guided tours of Paris with car and guide. 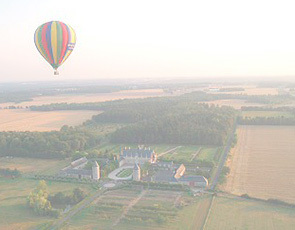 • Balloon/helicopter tours: enjoy a holiday to remember!